William Seraile uncovers the history of the colored orphan asylum, founded in New York City in 1836 as the nation's first orphanage for African American children. It is a remarkable institution that is still in the forefront aiding children. Although no longer an orphanage, in its current incarnation as Harlem-Dowling West Side Center for Children and Family Services it maintains the principles of the women who organized it nearly 200 years ago. 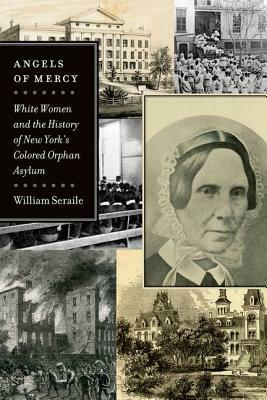 The agency weathered three wars, two major financial panics, a devastating fire during the 1863 Draft Riots, several epidemics, waves of racial prejudice, and severe financial difficulties to care for orphaned, neglected, and delinquent children. Eventually financial support would come from some of New York's finest families, including the Jays, Murrays, Roosevelts, Macys, and Astors. While the white female managers and their male advisers were dedicated to uplifting these black children, the evangelical, mainly Quaker founding managers also exhibited the extreme paternalistic views endemic at the time, accepting the advice or support of the African American community only grudgingly. It was frank criticism in 1913 from W. E. B. Du Bois that highlighted the conflict between the orphanage and the community it served, and it wasn't until 1939 that it hired the first black trustee. More than 15,000 children were raised in the orphanage, and throughout its history letters and visits have revealed that hundreds if not thousands of "old boys and girls" looked back with admiration and respect at the home that nurtured them throughout their formative years. Weaving together African American history with a unique history of New York City, this is not only a painstaking study of a previously unsung institution of black history but a unique window onto complex racial dynamics during a period when many failed to recognize equality among all citizens as a worthy purpose.